Avoid spamming: Ensure the recipients have agreed to receive your email messages and that you’re not doing anything that could be considered spamming. Include an unsubscribe link in every message, a short statement of your spam policies, and a brief note about how recipients got on your mailing list. Make subscribing easy: Put a sign-up form on your website, social media pages, and anywhere else current and potential customers might encounter your company online. Ask for an email address and name, for example, and make it clear that submitting the form indicates permission for you to send them email marketing messages. Send email messages with value: When you send a mailing to your email subscriber list, make sure the content you send has actual value to your recipients. Include material such as industry news, a how-to, problem solutions or other useful content. Be concise and easy to scan: Construct your email to be easy to scan by someone who has only a few moments to look at your message. Include informative headings and subheadings, bulleted lists and highlighted text. Write concisely and use short sentences and paragraphs. Write well and edit before submission: Write clearly and professionally. A casual, friendly tone is fine, but take the time to edit your email message before sending them. Emails that are full of errors, bad grammar and misspellings will harm your reputation. Hire a professional writer or editor if necessary. Make your email content easy to share: Concentrate on topics that are particularly relevant to your customers. This increases the chance your email will be shared. Include links to your blog, website and social media pages. Email for a reason: Have a reason for every email you send, even if it’s just to say thanks to your customers. Generate leads: Include an easy online response form for your customers to submit referrals, let you know of their future plans, or request information from you. 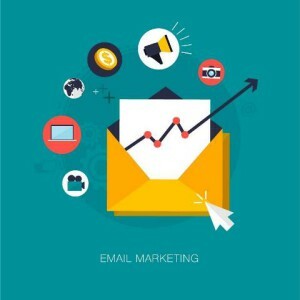 How can you use these tips and other email marketing techniques to improve the results of your email campaigns?